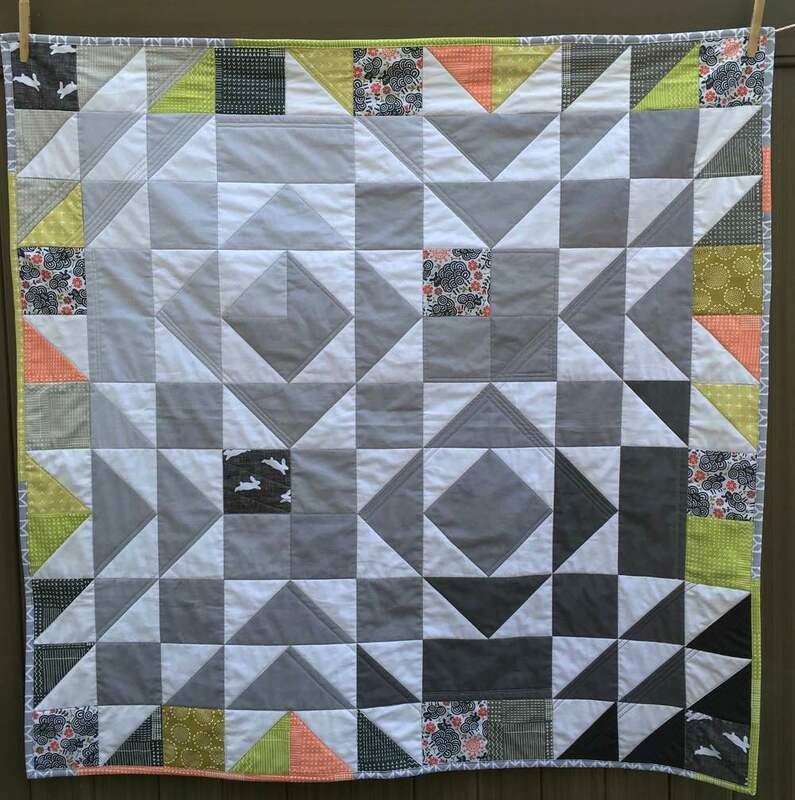 This is another in my series of posts about cheater quilt panels available from Spoonflower.com. This is "It's Complicated" by mainsail_studio available from spoonflower.com. 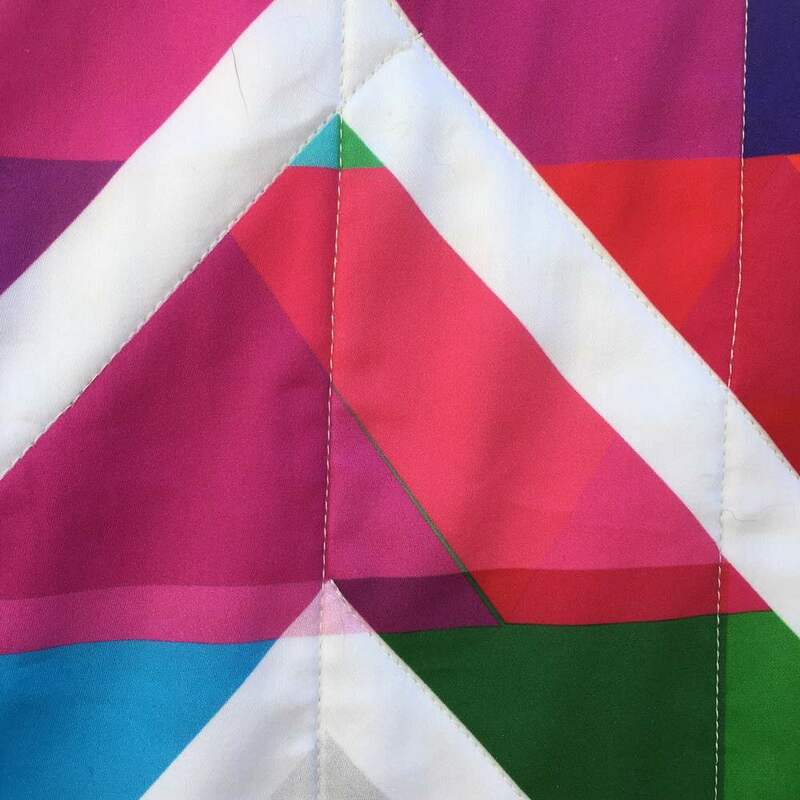 (The designer states the quilt's name was inspired by "the beautiful ups and downs of a marriage"). It was printed on 2 yards of their wider cotton sateen fabric. I was immediately drawn to the designer's fantastic use of color alternating with the zig-zags of white and several light greys. It's such a fun vibrant design! Putting this many colors and triangles into a digital design is a challenge. It's just not easy. There are places in this print were the color slips out of the lines and other places where there are gaps where the elements of the print abut. These aren't visible from a distance but are up close. So the print isn't perfect, but the design is about a marriage...and what marriage is perfect?! 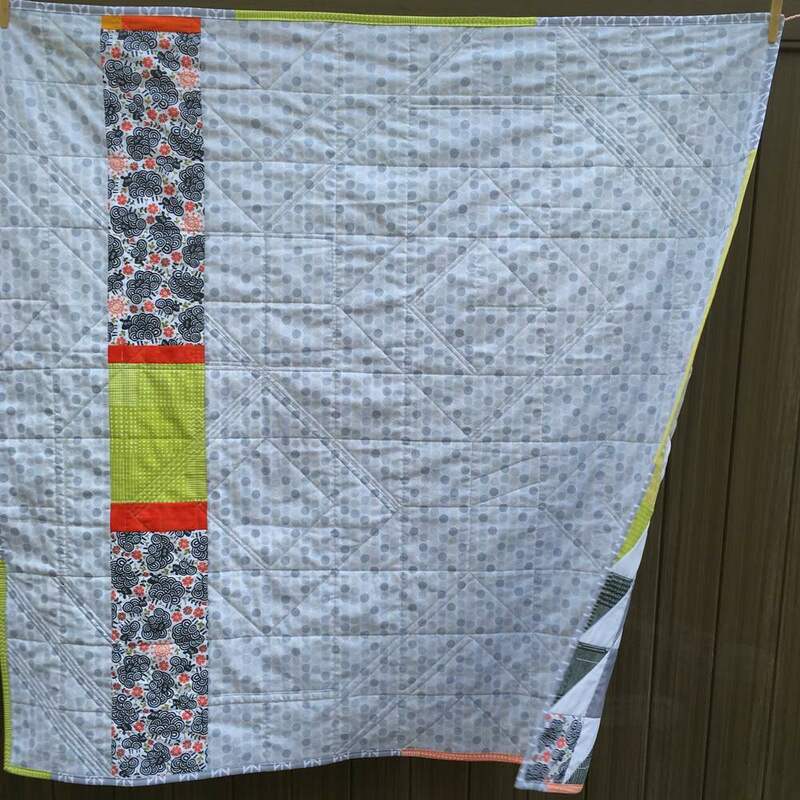 One thing I've noticed on cheater quilts panels is that without the seam lines, it's often difficult to see the intended block layout when light colors/light greys are used. What the designer intended to be a half-square triangle or a flying geese block ends up looking like a floating triangle. However, quilting these panels in the "virtual ditch" does make it possible for the eye to see the intended block.